Across eastern Indonesia, significant post-harvest grain loss is attributed to infestation by weevils, an insect that is harmful to a variety of grains. In 2016, Kopernik conducted an experiment to determine the effectiveness of two simple hermetic storage methods on sorghum - a hermetic plastic bag and a hermetically sealed plastic drum- alongside the current method of storage using a plastic woven bag. 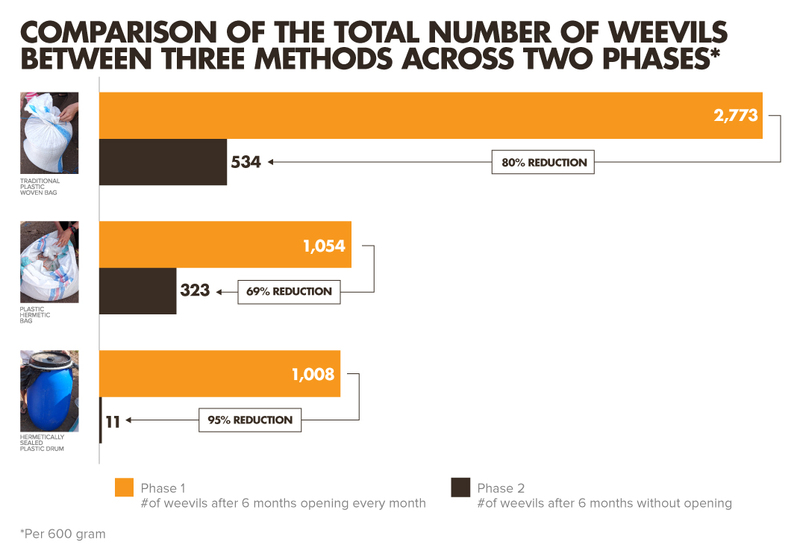 The results demonstrated that the hermetic bag and the hermetically sealed plastic drum performed similarly with on average one-third the total number of weevils when compared to the plastic woven bag. While the results were promising, given that a significant number of weevils remained, in the second phase of this experiment we tested whether restricting oxygen from the three storage methods for a full six-month period without opening the containers would result in a further reduction in the number of weevils. We learned in the second phase that the hermetically sealed plastic drum performed significantly better than the other two methods with only 11 weevils as compared to 323 weevils for the hermetic bag. Sealing the drum for six months seemed to have improved its capacity to keep weevils out to a greater extent than that of the hermetic bag, which the weevils were able to eat through. But does this mean the hermetically sealed plastic drum is the most viable option for people living in the last mile? The reality is that the hermetically sealed plastic drum may also be prohibitively expensive. While the hermetic plastic bag with a capacity of 60kg costs~US$2, the hermetically sealed plastic drum with three times the capacity costs 13 times more at ~US$26. At an average monthly household income of US$941 in Nusa Tenggara Timur province, the hermetically sealed drum may simply not be affordable to everyone, and therefore may not be a practical option for low-income last mile communities. Products for the last mile are appropriate only when our clients believe they are ideal and are willing to purchase them. 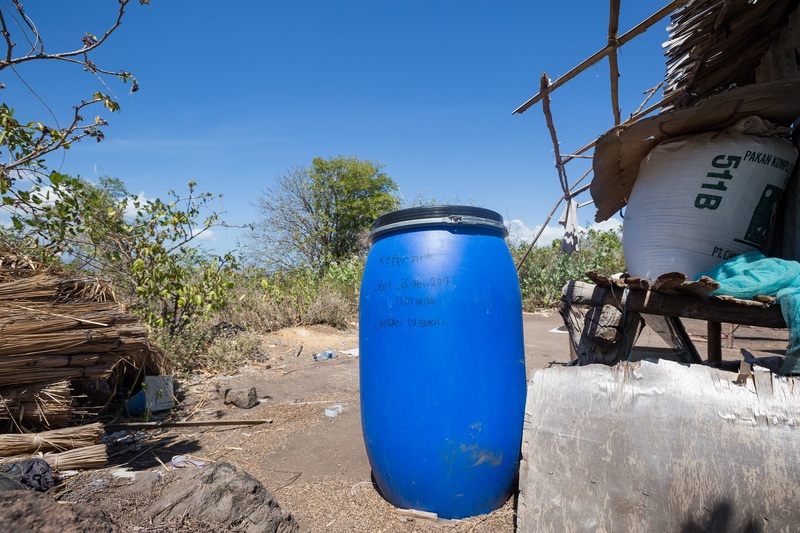 While the hermetic plastic drum may be the most effective in restricting weevils, price as much as effectiveness will determine the most viable option for communities living in the last mile. In the next project phase, Kopernik will experiment with using a natural pesticide with these same storage methods to test whether its use can improve the performance of the three storage methods especially that of the more affordable hermetic bag. The research, analysis and formulation of this insight was performed by Cantika Marlangen. 1 Badan Pusat Statistik (2016).